You don't have to shoulder an eight-string electric guitar to get to those earth-rumbling lower tones; the 7-string ESP LTD SCT-607B Stephen Carpenter baritone electric guitar delivers low frequencies with force and might. Stephen Carpenter's deep distorted sound is heard all over the Deftones' discography, and this seven-string baritone axe brings the heavy with its alder body and maple neck in neck-thru body construction. The SCT-607B's pair of Fishman Fluence SRC Signature active humbuckers break up your playing in a nice, full distortion that doesn't get muddy in the lower register, and your ebony fingerboard of 24 XJ frets plays like butter over a comfortable thin U contour neck shape. 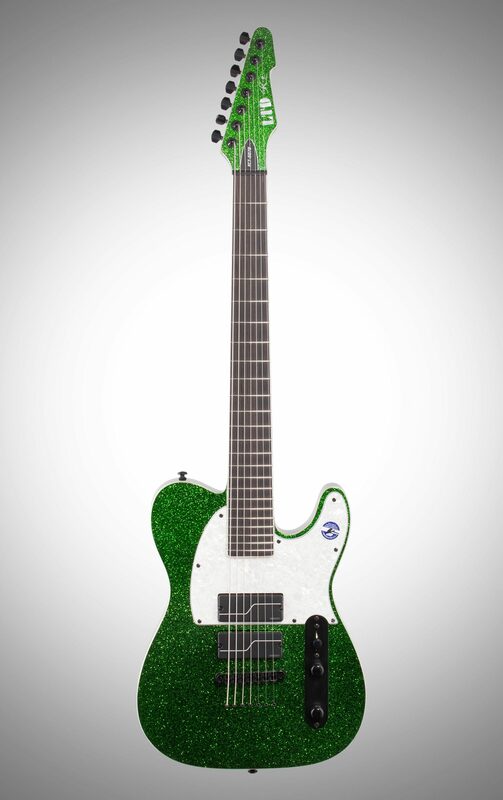 Get extra low with this heavy baritone electric guitar. Alder bodies have a strong, full-bodied sound that balances well. Alder is great for a baritone guitar because it lifts your mids and lows nicely, but not in an overbearing fashion. Your maple neck adds a nice and tight character to your sound -- bringing a welcoming brightness in contrast to the darkness of your alder body. It adds up to a classic tonewood pairing for this Stephen Carpenter signature 7-string. You'll navigate the SCT-607B's extensive 27" scale neck with ease and comfort via its thin U contoured neck shape. Having the extra string widens your neck a little bit, but this thin cut means your hand won't have to stretch too far to reach that seventh string. Thru-body construction means your strings will have a nice transfer of sound over to your body with a more present resonation, in longer sustain, and with reliable intonation. 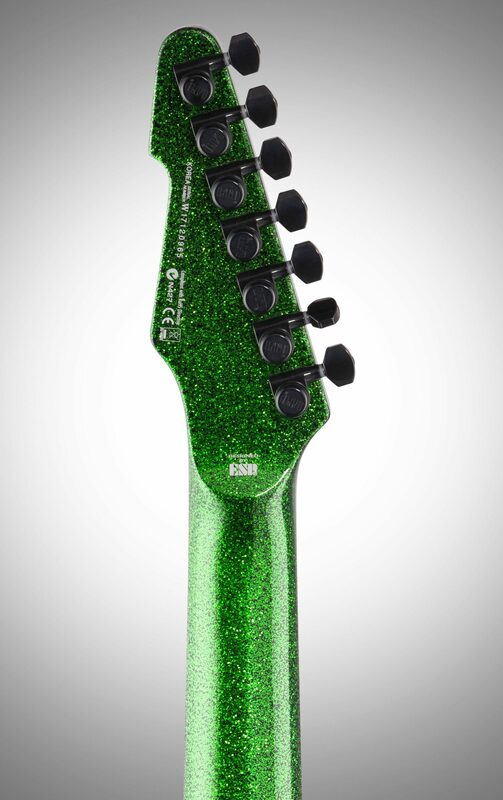 Your axe will also have a solid "one-piece" feel to it when you play. Each pickup has multiple voicings; use the push-pull control on the volume knob to select the one you want. On the middle alnico pickup, push down for "Modern Active" tone or pull up for "Modern Passive Attack." On the bridge ceramic pickup, push down for "Modern Passive Attack" tone or pull up for "Modern Active" voicing. This model utilizes a standard 9V battery. Baritone guitars have longer scale lengths to them, which means your strings stretch longer and tighter. You won't have to worry about staying in tune because of this baby's reliable TonePros Tune-o-matic bridge and LTD locking tuners. You'll be able to play extensively -- pushing your low end and bending your strings to screeching highs -- without the worry of your guitar losing its intonation. 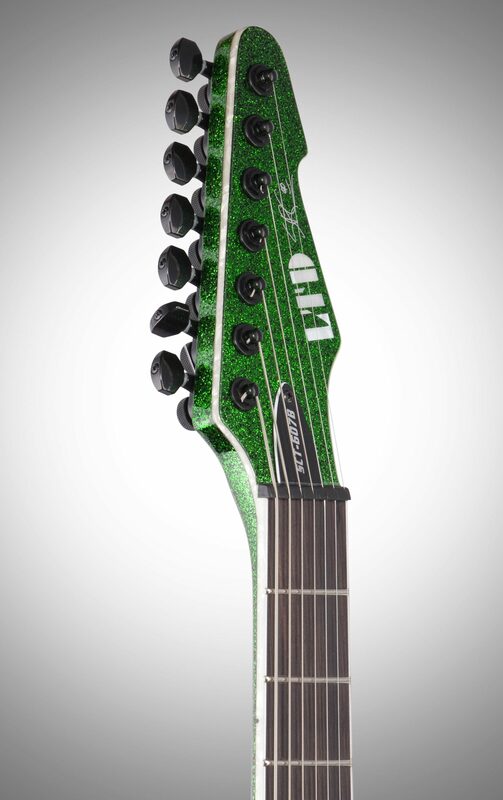 If you want a huge bottom end, mega distortion, and superior sustain, the ESP LTD SCT-607B Stephen Carpenter Baritone Electric Guitar is the one for you. Stephen Carpenter, guitarist of the Deftones, teamed up with ESP to create this beauty. 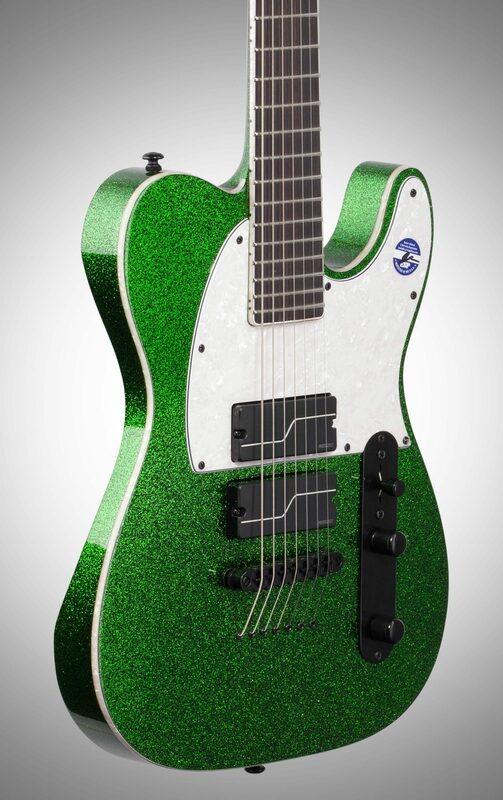 This 7-string baritone is sure to be your go-to guitar. 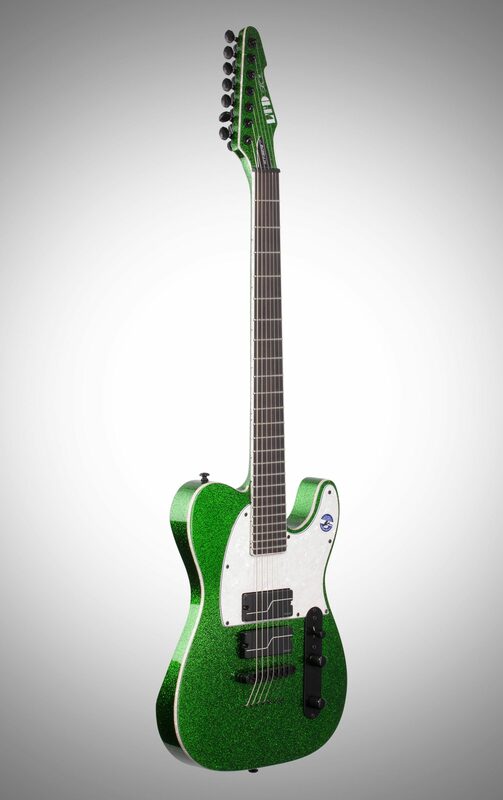 The ESP LTD SCT-607B boasts neck-thru construction, a 27-inch baritone scale, and a classic Tele-style body with a black finish and white pickguard. The SCT-607B is loaded with Fishman Fluence SRC Signature pickups. EMG 81-7 active pickups give you a huge range -- from a full, cranked-out bottom to screaming high notes on the upper register. The ESP LTD SCT-607B's string-thru body and TonePros locking bridge give the thru-body maple neck with ebony fretboard great sustain and resonance. "This is an amazing instrument!" Sound: This thing is perfect for playing really any style of music you wanna use it for. From heavy, high gain distortion, to beautiful clean tones, it can do it all. The EMG active pickups are very balanced and can produce any tone your heart desires Feature: The features on this guitar are awesome! I love the locking tuners and TOM bridge. Ease of Use: I went from a 6 string to this 7 string fairly easily. 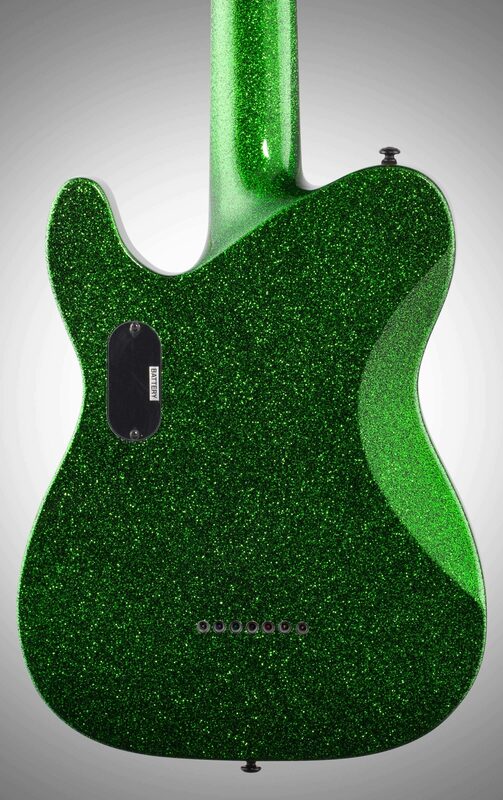 Now I will say, if you like a flat fast neck, this guitar isn't for you. The neck on this guitar is very easy to play, but it is beefy. Quality: The quality is second to none. 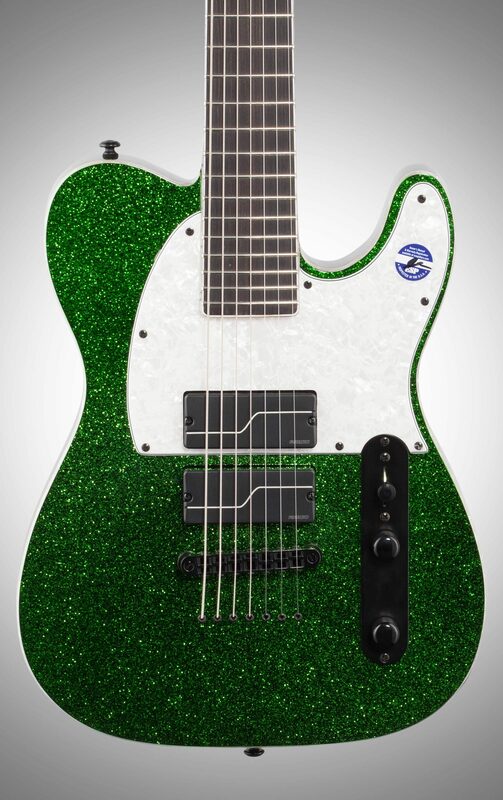 From the beautiful finish, to the high quality parts used to build this beauty, you will not be disappointed Value: This guitar is an exceptional value at its price, it should honestly cost more than it does! Manufacturer Support: I haven't had to deal with the manufacturer The Wow Factor: The overall wow factor is amazing! I catch myself just looking at its beauty when not in use. I've gotten several compliments on its sound and beauty. 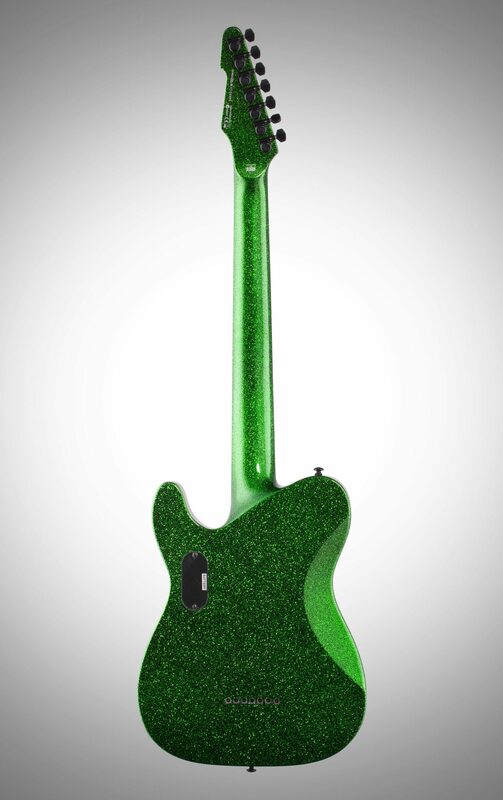 I promise this guitar will not disappoint you. Overall: This is truly one of the best guitars I have ever had the privilege of owning. Right out of the box this thing was ready to roll. Great quality, great sound, and just an all around beautiful guitar. "Finally a 7 string I am happy with"
10 of 11 people (90.91%) found this review helpful. Did you?